Stuttgart headquartered DC Aviation Group (DCA), the German joint venture partner of DC Aviation Al-Futtaim (DCAF), has successfully completed a full 96-month major check on a Challenger 850 aircraft. The comprehensive maintenance work which was carried out at DCA’s Maintenance Service Centre located at Stuttgart Airport, included a full cabin refurbishment, using choice wood, finest leather and plush carpets. Exterior work included a landing gear and wheel overhaul as well as new exterior painting. In addition, future mandates which include ADS-B Out modification and complex AD’s including TOSE/LWTAIS were successfully completed. According to the Surveillance Performance and Interoperability regulation (SPI IR), all aircraft with a maximum take-off mass in excess of 5,700 kg or a maximum cruising true airspeedgreater than 250 knots will have to comply with ADS-B Out by January 1, 2020. “Due to our 24/365 availability, combined with intelligent planning and smooth workflows, DC Aviation is able to meet challenging ground-times. 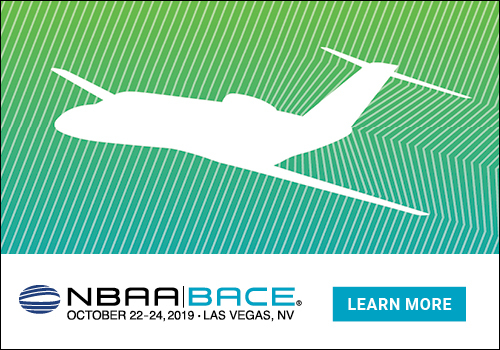 With our leading industry partners like Honeywell, gogo, Collins Aerospace and F/List, we can also offer customized solutions for these mandatory modifications in combination with any other scheduled maintenance or cabin and connectivity projects,” he added. DC Aviation can offer line and base maintenance services which are completed in a dedicated 5,000 square meter hangar at Stuttgart Airport (EDDS) and at DCAF’s 5,700 square metersapproved maintenance facilities at Al Maktoum International Airport (OMDW) in Dubai for customers operating the Airbus 320 family, Bombardier Global, Bombardier Challenger 605/604/300/350, Bombardier Learjet 60/45/40, Dassault Falcon 7X/900, Gulfstream G550/450, Cessna Citation XLS+ and other aircraft types. DCA maintains a parts inventory with a value of more than 6.5 million Euros, special tools for specific aircraft, testing equipment and a maintenance logistics centre. Unconventional repairs can also be completed on an efficient and flexible basis. The maintenance team is able to develop a customized maintenance program for a considerable number of different business jets based on the customer´s flight requirements. The complete CAMO authorization meets all the EASA requirements for the maintenance and certification of airworthiness. These and other measures form a solid base for the sustainable preservation of the value and maximum availability of every maintained aircraft.